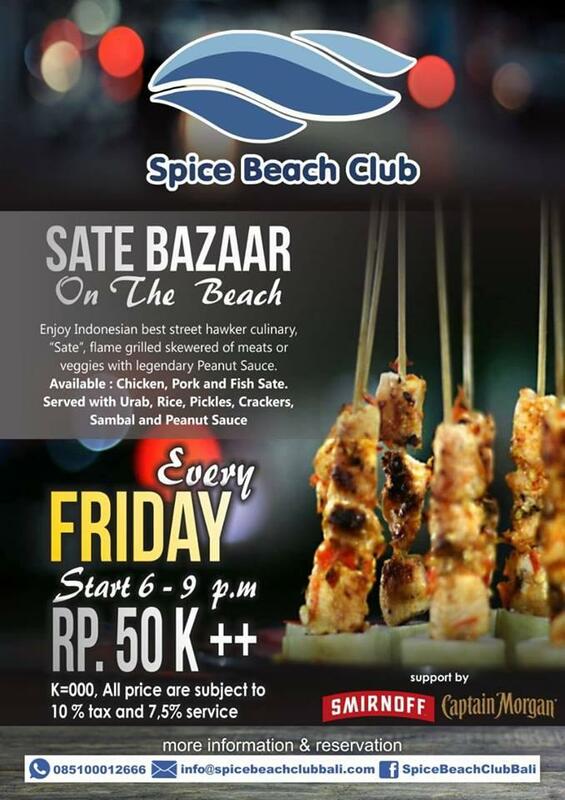 Enjoy Indonesian best street hawker culinary, “ Sate”, flame grilled skewered meats or veggies with legendary peanut sauce. come and enjoy the big Bazaar made by us! Enjoy the dishes on the beach while enjoying the evening with your friends! ? we can't wait for it!